The overthrown President of Zimbabwe, Robert Mugabe has finally tendered his resignation. Mugabe resigned as Zimbabwe's president on Tuesday, shortly after parliament began an impeachment process to end his nearly four decades of rule. This announcement was made by the Parliament Speaker, Jacob Mudenda, in a letter, he read to lawmakers, AFP reports. “I Robert Gabriel Mugabe in terms of section 96 of the constitution of Zimbabwe hereby formally tender my resignation… with immediate effect,” said speaker Jacob Mudenda. Wild celebrations broke out at a joint sitting of parliament when the Speaker announced Mugabe's resignation and suspended the impeachment procedure. 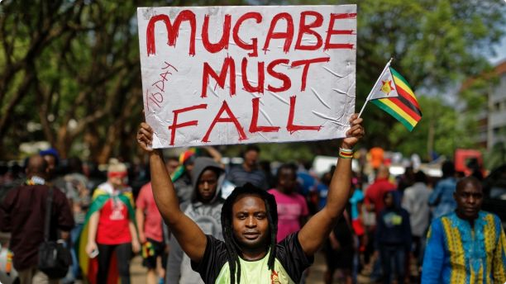 This ends Mugabe’s 37-year rule defined by brutality and economic collapse.